#1.) 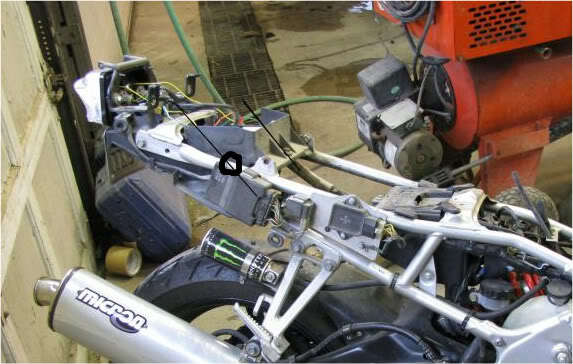 I want to do a CBR 600RR and heard if I do not bend the subframe the 05-06 is the best. If I want to bend the subframe how would I go about doing it? I have a guy who will help me he just needs to know the specific place where to bend and at what angle. I heard it is 30degree higher but want to double check. I know to put "V" cuts in it and then re-weld afterward. #2.) I want to get some 3 stage house of kolor paint. I have never worked with this stuff before and am wondering if any of you have and if it is more difficult to spray than normal. trust me you want to bend the subframe up.if you dont it will stick out the back under the tail. looks way stupid. Last edited by willduce; 05-11-2010 at 08:28 PM. thank you and to your sweet paint skills. After it is bend can it still support a passenger? I have called a few fab shops and bike shops in town and they refuse to cut and weld into the frame due to structural changes. I just don't want to have my gf on the back and have the frame break,bend, etc... where she could get hurt. Ya that would mess me up too a bit. I was going to give this bike to her but after playing around with it, busting up knuckles, etc... I don't think I can and the ZZR is way more power than this one. Maybe I will get her a kawi 550 or something around that for her to learn on.